Sydney’s Sun Herald City2Surf is a 14km FUN run winding from the city centre to the iconic Bondi Beach via heartbreak hill, which happens to fall pretty much smack back in the middle. Did you know it is the worlds largest fun run? This is exactly why ATELTA City2Surf run group member Ellie wants to tick this off her bucket list! Have you done many fun runs in the past? No, does school cross-country count? I am not a keen runner at all! 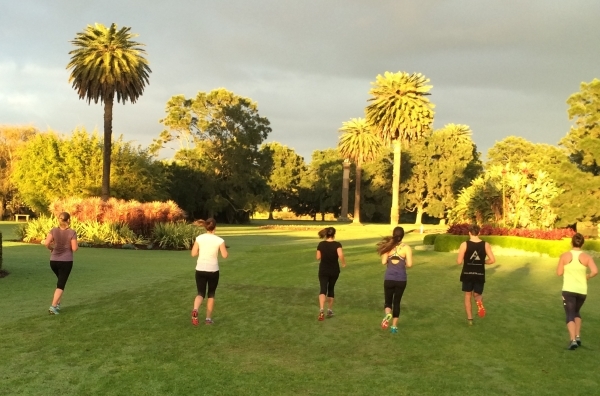 Why have you chosen train with ATLETA’s running group? To keep me committed to my training as I know there is always a group waiting for me every Wednesday and Saturday morning and I don’t want to leave them hanging! These guys know their stuff and I personally need the program set out for me to keep me on track so that I can reach my goal of completing my first fun run. It is such an added bonus that I have a plan set me for the other days of the week. What do you enjoy about the sessions? The variety is great, as I find it very hard to motivate myself to get my joggers on and go for a jog alone around the same boring track. The interval sessions are hard but always different and I find that I walk away feeling like I have achieved something afterwards. There is also the great social aspect in the small group setting and someone is always up for a brunch date after a Saturday session which after such a tough session it always tastes twice as good! Do you think all those hill sprints are going to help you get up heartbreak hill? I have no doubt about it, as surely it is all down hill from there right? My goal is just to run the whole 14km, which I think is totally achievable as there is always someone else running with me at training which helps push me and not slack off when the trainers aren’t watching! Its not too late to join in on all the fun and improve your running performance – contact us today to join ATLETA’s City2Surf running group and ensure that you are prepared to smash your City2Surf goals!